On last week’s Called to Coach, we featured Gallup-Certified Strengths Coach Jason Ho. Jason has five years of corporate experience in training, development, and performance coaching for company staff. He also has over 3,000 hours of experience in personal-development coaching and management consulting. Jason’s strengths journey began about 20 years ago. Ever since he was young, Jason was always interested in the subject of self-help and read many books on the topic. He eventually realized that those books don’t work well for everyone, and that many people need a strengths coach to show them how to focus on their strengths instead of trying to fix their weaknesses. Six years ago, Jason took the Clifton StrengthsFinder assessment and has been hooked on coaching ever since. One of the duties of a strengths coach is getting individuals to “buy in” to the idea of strengths. Many people have a general understanding of what they are good at, but strengths give them a whole new language with which to express their innate talents. When individuals truly believe in the impact strengths can have on their lives, they are able to reap the lifelong benefits of strengths-based living. When coaching other adults, Jason says it is important to advise them in a way that they would advise themselves. Most adults don’t like to be taught in the same way a teacher teaches a child, so it is best to advise them as a peer, rather than as a superior. Although coaching is primarily about helping others improve, it is imperative that coaches make sure that they themselves are improving as well. One of the best ways to improve your coaching abilities is to ask for feedback from those you coach. After each session, ask them how they think it went and what you could do, as a coach, to improve upon each session. Join us for the next Called to Coach with Kathy Kersten, this Friday, Nov. 15, at 1 p.m. EST. 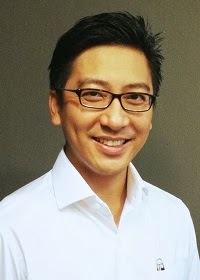 Jason is one of the first Gallup-Certified Strengths Coaches in Singapore and is a strong advocate of strengths-based development. He has also been connecting with new and aspiring coaches in Australia to help them chart out their path to success.